2014 Bodo de Leite was held on Saturday, September 13, 2014. The theme was "A Life of Faith." There were donkeys, camels, and horses. There were townspeople, floats and music. It was magnificent. "Vamos Entrando na Casa de Deus to Kathryn Maffei's arrangement. This is a photoshow video of Novenas 3 through 7. 2014 Shrine of Our Lady of Miracles is beautifully decorated for the OLM Festa. 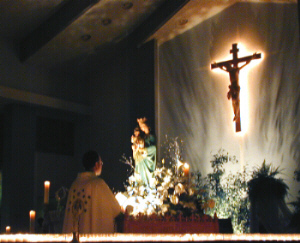 The Our Lady of Miracles Festa was 75 Years Old in 2011.
and has had over 150,000 visits worldwide. I was a little girl. My parents were Presidents of the Festa twice. I have a great devotion to Our Lady of Miracles. 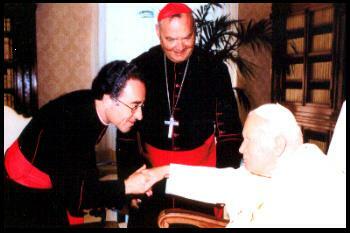 In 1998, I produced a CD of Our Lady of Miracles Music. I also produced a CD of the Portuguese Rosary and Portuguese Music. I hope the OLM Portuguese Festa Music will never be forgotten. 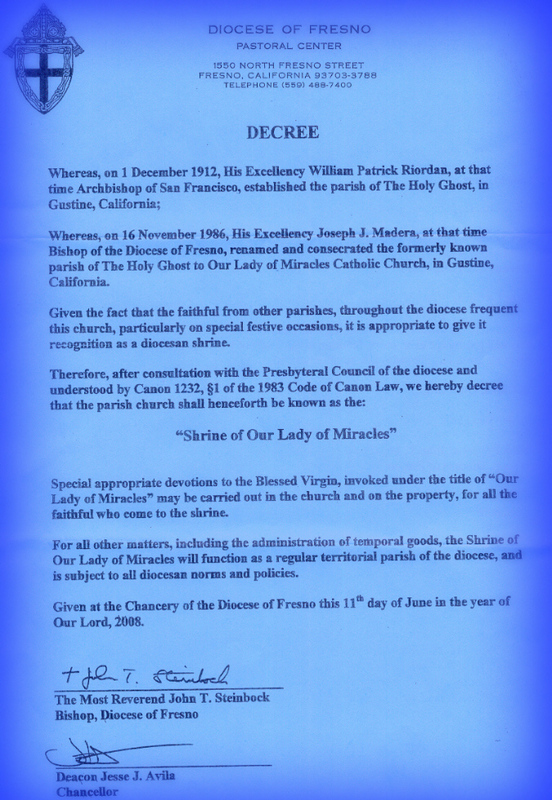 further information about The Our Lady of Miracles Society's history. 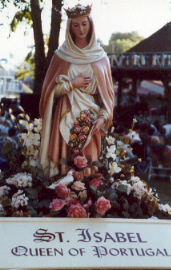 when Our Lady of Miracles hosts its annual Festa. bouquet of roses. This was a miracle by God. roses falling from her cloak. She is always dressed in pink robes. wear her crown until her husband and son made peace. meal of soup, bread and meat." "Hymn of Our Lady of Fatima"